Donald Trump makes no secret of his feelings about pretty much anything, but he's particularly vocal about his distaste for the much of the media that reports on him. He boycotted at least one media network, he has attacked individual reporters on social media, and he has even revoked press credentials from certain outlets. 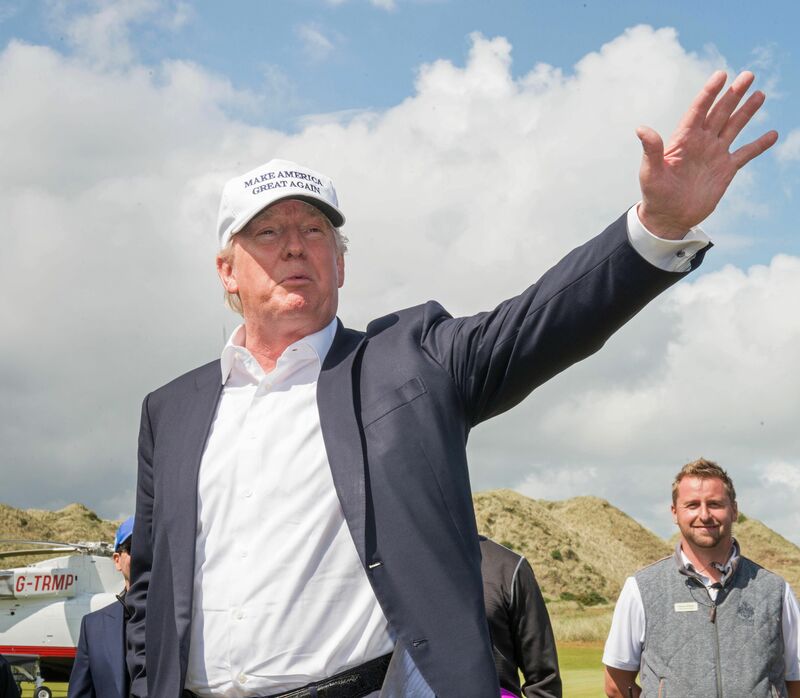 Over the weekend, the outspoken candidate's relationship with the media got a new chapter, as Trump denied four news outlets access to his event in Scotland. On Saturday, Trump addressed the media from his golf course in Aberdeen, Scotland. On Friday, he had held an event at another one of his properties in Scotland. In Aberdeen, though, security turned away several of the journalists who had traveled there for the event, according to The Washington Post. Outlets turned away included the Post, Buzzfeed, The Guardian, and Politico. To the journalists in attendance, Trump spoke about his proposed ban on Muslim immigration to the U.S. and the United Kingdom's vote to leave the European Union. All the while, the media walked the links with Trump, pausing at various holes for questions. The event occurred nearly two weeks after Trump's campaign revoked the Post 's press credentials to cover his events and just a day after he called the Guardian's Ewen MacAskill "a nasty, nasty guy." As CNN Money reported, it's not clear whether Trump's campaign or Trump's golf course made the call to ban the denied reporters. However, it wouldn't be the first time that Trump's campaign decided to take a stand against the media. Trump has long complained that the media does not report on him accurately or fairly. In perhaps Trump's most public feud with the media, he boycotted a Fox News debate that anchor Megyn Kelly moderated in January ahead of the Iowa caucuses. He refused to face Kelly again after her question to him at the very first Republican debate about his treatment of women. That incident set off a months-long saga, during which Trump tweeted insults about Kelly, criticized her on other networks, and refused to participate in the January Fox News debate. Trump and Kelly publicly made up during an interview on Kelly's Fox special. Trump has also been criticized for seemingly mocking a New York Times reporter with a physical disability. Earlier in June, when he revoked the Post's press credentials, Trump claimed that the Post had published a false headline. Recently, he has taken to calling CNN a pro-Hillary Clinton — and therefore biased — source. It's not often that you hear about a presidential campaign turning away media. Then again, not many things about Trump's campaign can be considered conventional. Still, Trump's now-regular limitations on his campaign's media coverage seem to have many members of the media wondering what a free press would look like under POTUS Trump.